A carpenter by trade with a love for art and sculpture. 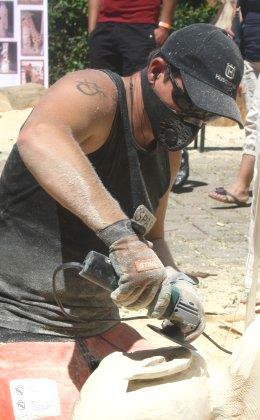 I have travelled the world, carving at international events and competitions. 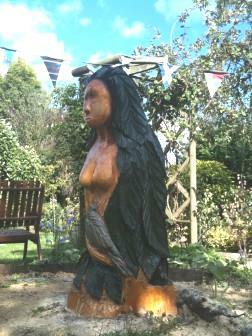 Based in Bedfordshire, I often appear at shows as a 'live' attraction creating sculptures with a chainsaw. People can watch a log transform to an owl in 20 minutes! Pieces can be auctioned, raffled, sent by post, bought at one of the many events or shows that I carry out in the UK. Dear Tony, I am writing to thank you for your generous gift of the beautifully carved horses head to mark the 50th Anniversary of the formation of our charity. 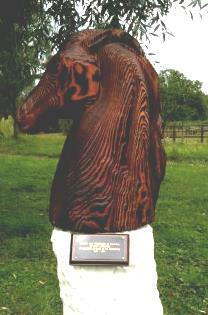 I know it will be admired & loved by all our riders & visitors. Again many thanks, your support of our charity is very much appreciated by us all. With my kind regards. Hallo there Tony. I just had to tell you how much your work is being admired by everybody - astonishing, beautiful, remarkable - these kind of adjectives flying around. Of course I love her and my healer friends and I will be doing a dedication ritual as soon as we can get together. I thank you so much for your sensitivity as well as your amazing skills. Blessings.